In the hot seat. Liam Neeson spoke out in a new interview on Tuesday, February 5, after he admitted he once wanted to “kill” a black man for revenge. The Oscar nominee also revealed that he “did seek help” in the wake of his actions. “I went to a priest, [who] heard my confession,” he explained. 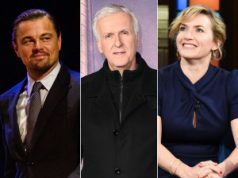 The Cold Pursuit star told The Independent in an interview published on Monday, February, 4, that he once roamed the streets in hopes of killing the “black person” who raped someone very close to him.